India is the one of the biggest supplier of generic medicines to USA. India and USA are strong relationship while we talk about pharmaceutical and healthcare sector. India is second largest supplier of generic medicines to USA where as USA add 40 percent in total revenue of top four Indian Pharmaceutical manufacturers. In recent time, due to change of US import policy has impacted Indian Pharmaceutical Exporter to USA. US administration’s policy of reducing import has created trouble for these exporters. Although these manufacturers have their own plants in USA but there major revenue portion come from importing medicines from India. After change in import policy of USA, Indian Pharmaceutical Companies has to change its policies and has to increased acquisition and merger of USA Pharmaceutical Companies or setting-up more manufacturing facilities in USA to keep their presence into US pharmaceutical Market. Sun Pharma is 4th largest Speciality Generic Pharmaceutical Company in world having its operation in More than 150 countries and 5 continents. Sun Pharma is also largest Indian Pharma Company in the US. The Company was established by Dilip Shangvi in 1983. The company has strong presence into American Generic Market and has become Brand in US. Sun Pharma has 45 (API and Finished Goods) manufacturing unit across world. These manufacturing units are located in India, the US, Brazil, Canada, Egypt, Hungary, Israel, Bangladesh, Mexico, Romania, Ireland, Morocco, Nigeria, South Africa and Malaysia. In US, Sun Pharma has 7 own finished goods manufacturing units and one API manufacturing unit. These units are located in Philadelphia, Detroit, Wilmington, Chicago, Cranbury, New Brunswick, North Brunswick and API unit is located in Chattanooga. Sun Pharma first created its presence in US pharma market in 1996. Lupin Pharmaceuticals, Inc. entered the U.S. generic pharmaceutical market in 2003 with the ANDA approval for Cefuroxime Axetil Tablets. Since then Lupin has received more than 75 FDA approvals and have become one of the fastest growing pharmaceutical companies in the US. Lupin Limited, has its headquartered in Mumbai, India founded by Desh Bandhu Gupta. The United States remains Lupin’s largest and most important market with 48% share of total revenues. In March 2016, the Company completed its acquisition of US-based GAVIS Pharmaceuticals LLC and Novel Laboratories Inc. (GAVIS). The Somerset, New Jersey is the Company’s first manufacturing site in the US. In FY 2017 Lupin’s US revenues surpassed the USD 1 billion mark, closing at USD 1,207 million, a growth of 37% over FY 2016 revenues of USD 883 million. The revenues from Lupin’s Brands business were USD 78 million, while the Generics business clocked in revenues of USD 1,129 million. Dr. Reddy’s Laboratories is a Hyderabad, Telangana based Indian multinational pharmaceutical company founded in 1984 by Dr. K. Anil Reddy. Dr Reddy’s supplies Generic medicines to more then 80 countries world wide. In the year 1997, Dr. Reddy filled first ANDA with the United States Food and Drug Administration for Ranitidine. Dr. Reddy became the first Indian company to win 180-day exclusivity for a generic drug in the US. Also, Dr. Reddy launched their first generic product, Ranitidine, in the US market. In the year 2003, Dr. Reddy launched Ibuprofen, first generic product to be marketed under the ‘Dr. Reddy’s’ label in the US. During the year 2010-11, the company acquired GlaxoSmithKline’s (GSK) oral penicillin manufacturing facility located in Tennessee, USA. Dr. Reddy has its three manufacturing units in USA located at Shreveport (Louisiana), Bristol (Tennessee) and Middleburgh (New York). Dr. Reddy’s Laboratories Inc. has its American office located in Princeton, New jersey. Cipla is an Indian Multinational Pharmaceutical having its headquarter in Mumbai, India founded by Dr. Khwaja Abdul Hamied as The Chemical, Industrial and Pharmaceutical Laboratories in 1935 which is then shorted to Cipla ltd in 1984. Cipla has its presence in more than 100 countries. Cipla USA Inc., the US subsidiary of Cipla Limited, is based in Miami, FL. Cipla started US market in 1985, when Cipla became the first Indian company to receive US FDA approval. 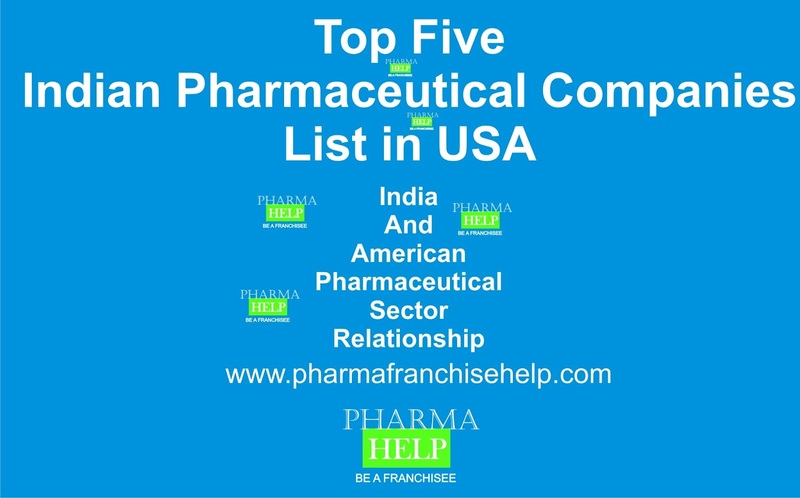 Cipla has place in top fifteen generic pharmaceutical companies in USA. Cipla completed acquisition of InvaGen Pharmaceuticals Inc. and Exelan Pharmaceuticals Inc. in USA to increase its presence. InvaGen has 3 manufacturing units with ~350,000 sq.ft. manufacturing and R&D area and about 500 employees specialized in different fields. Aurobindo Pharma Limited is an Indian Pharmaceutical having its headquarter in HITEC city, Hyderabad, India founded in 1986 by P.V. Ramprasad Reddy and K. Nityananda Reddy. Aurobindo Pharma USA Inc. operates as a subsidiary of Aurobindo Pharma Limited manufactures generic pharmaceutical drugs. The company was incorporated in 2004 and is based in Dayton, New Jersey. Aurolife is a 100% owned subsidiary of Aurobindo Pharma USA Inc (APUSA) has 100,000 square feet state-of-the-art US FDA approved cGMP compliant manufacturing facility.